The IEEE International Workshop on Advanced Robotics and its Social Impacts (ARSO) took place from 27th to 28th September 2018. 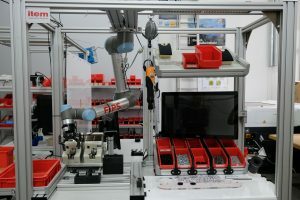 Our Researchers Sarah Abdelrazeq and Lea Daling presented their new research results about the requirements and challenges humanity faces, when it comes to work with collaborative robotic systems. 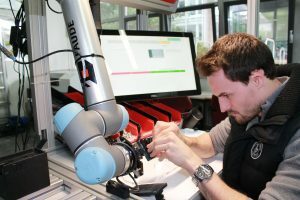 The researches are based on qualitative and quantitive studies, but especially on an ARIZ made experiment, in which users actually worked together with a collaborative robot to produce gear drives and talk about their experiences afterwards.